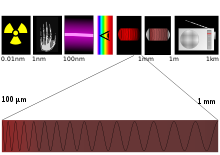 As of 2012[update], viable sources of terahertz radiation are the gyrotron, the backward wave oscillator ("BWO"), the organic gas far infrared laser ("FIR laser"), Schottky diode multipliers, varactor (varicap) multipliers, quantum cascade laser, the free electron laser (FEL), synchrotron light sources, photomixing sources, single-cycle or pulsed sources used in terahertz time domain spectroscopy such as photoconductive, surface field, photo-Dember and optical rectification emitters, and electronic oscillators based on resonant tunneling diodes have been shown to operate up to 700 GHz. In May 2012, a team of researchers from the Tokyo Institute of Technology published in Electronics Letters that it had set a new record for wireless data transmission by using T-rays and proposed they be used as bandwidth for data transmission in the future. The team's proof of concept device used a resonant tunneling diode (RTD) negative resistance oscillator to produce waves in the terahertz band. With this RTD, the researchers sent a signal at 542 GHz, resulting in a data transfer rate of 3 Gigabits per second. It doubled the record for data transmission rate set the previous November. The study suggested that Wi-Fi using the system would be limited to approximately 10 metres (33 ft), but could allow data transmission at up to 100 Gbit/s. [clarification needed] In 2011, Japanese electronic parts maker Rohm and a research team at Osaka University produced a chip capable of transmitting 1.5 Gbit/s using terahertz radiation.